Could Equal Parenting Plans Actually Benefit Child Support? No wonder Texas doesn’t want nonattorneya teaching others about their code. We might reveal something in there that they would rather continue to be overlooked and not challenged. I found something super exciting in the Texas Family Code today. I found an interpretation of the code that can help you argue for equal parenting and no child support! Today, I was reviewing the Texas Family Code again, because we do that often, while riding along with Ron Palmer through New Mexico. I’m updating our proposed legislative bills from last legislative session for equal parenting. And what I discovered blew me away. 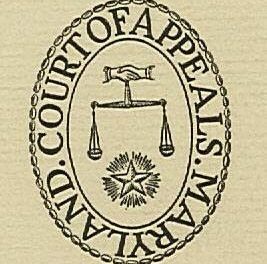 The way that Texas judges and attorneys have been applying the child support statutes proves they have manipulated and twisted the statutes with the intent to maximize the number and amount of child support. Texas statutes might not be as bad as the judges and attorneys have turned them into, at least on the initial child support orser. Whereas the RIGHTS OF PARENT AT ALL TIMES does not say that the parent has a duty to support the child during the times that they don’t have possession of the child. And if you look at 151, remember that 151 is more general and 153 defines the rights and duties more specifically. I have seen the courts refer to a more specific statute if it applies to that case, and if you are in an original SAPCR 153 is where you would go. Sec. 153.074 would argue against child support being paid to the other parent and support a reason the judge would want to order equal parenting possession time for the child to both parents. 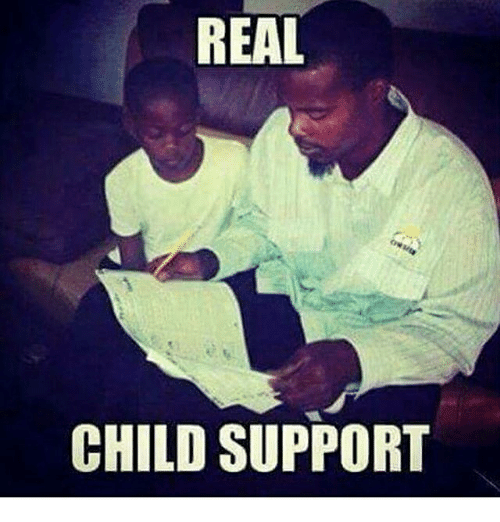 If you are only required to support the child during your possession time, and you exercise your possession time, then why would you be liable to pay the other parent child support. Sec. 154.123 says that the court “shall consider “the amount of time of possession of access to a child.” 154.123 is when a judge deviates from the standard formula of just calculating child support on the guideline factors. A Child Support and Equal Parenting Solution. 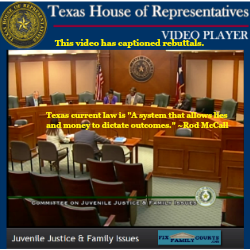 An argument might be that the Texas legislator did not authorize the judge to impose child support unless you failed to support your child directly, and that you have a right and duty to support your child directly according to the state statutes. You would be arguing that the judge is not authorized to order you to pay child support without someone rebutting that you have failed to support your child directly, and that the judge is only authorized to order you to pay child support during your times of possession if you are failing to exercise that possession time and failing to provide support for the necessaries during that time to the person who has the child during your time. Bottomline, a regular reading of just the statutes looks like the Texas legislature did not authorize child support when you do not have possession. This would mean that there would have to be an order defining the limitations on your possession. A judge cannot create a duty that the legislator did not authorize. Sec. 151.001 (11) (c) says that a parent “is liable to a person who provides necessaries to the child. You cannot fail to support your child if the state deprived you of the ability, the state unduly burdened your ability to directly meet the needs of the child. Therefore, you did not fail. The state made it impossible. And in Texas, the state cannot create an impossible condition. Keep in mind that 151 applies to all parents before there is a suit regarding the rights and duties. Sec. 154.123. ADDITIONAL FACTORS FOR THE COURT TO CONSIDER. (b)(4) says that the court if it varies from the child support guidelines that the court shall consider ‘the amount of time of possession of an access to a child. So if you interpreted all three of these statutes together like this, a judge could not order child support unless it was shown first that the parent failed to provide and support that child directly, if a judge orders equal parenting time to both parents and one parent doesn’t exercise all of their parenting time, then the court can consider ordering child support and deviate their calculation guidelines based on the amount of time the parent is actually exercising. What if the Other Parent is Not Exercising Their Possession Time? This would solve the question about what do you do when a parent has equal time but doesn’t exercise the time and the other parent is paying for everything. Well there you go. This interpretation would be much more equitable and just. I did not look at the legislative intent when they passed these statutes so if you are going to argue this and then take it to appeal you will need to do all of the research. I suggest that you do all of the research long before you use it at trial so that you know what your fight will be. The Attorney General of course will fight this argument, since it would reduce tremendously the gravy train that he has enjoyed that is supporting the majority of his office staff. NOTE: This is a hypothetical reading of the statutes. If this reading is accurate then the courts have been addressing child support incorrectly. I am not an attorney and not trained in the law. I have not compared this to case law. If you find case law however that is interpreting the statutes differently this does not mean that you cannot make a different argument. This would mean that you have to justify a first impression argument. Become a member and find more member only blogs with more in depth arguments and information helping you find ways to change your strategy in your effort to get a just and fair child support order.